In a paper that I have just published in the Fordham Urban Law Journal, I consider the evolution of intellectual property (IP) claims in relation to three specific categories of data that have been of interest to transit users: route maps, static transit data, and real-time GPS data. This data is generated by municipal transit authorities in the course of their operations. Increasingly, it has been sought as open data by developers keen to make use of this data in a very broad range of apps. It is also of interest to corporations that seek to add value to their products and services. Route maps are a very basic form of transit data – they represent, in graphic form, the general location and ordering of transit stops within a given transit system. Static transit data is essentially schedule or timetable data. It is referred to as “static” because it is not subject to rapid change, although timetable data does change seasonally, as well as in response to growth or development in a given transit system. Real-time transit data is generated and communicated in real time. Typically it is gathered from GPS units that are installed on transit vehicles. These three categories of data have all been the focus of IP disputes involving different actors and differing motivations. Because the categories of data also reflect an evolution of the types of available data, the technologies for accessing and using that data, and the growing complexity and value of the data, they offer an interesting window into the evolution of IP claims in this area. 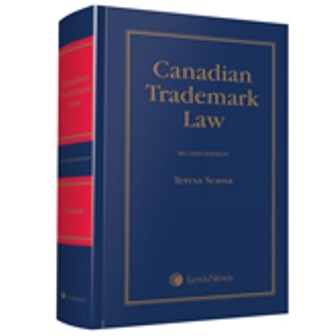 More specifically, they allow IP law to be considered not so much as the focus of inquiry (i.e. whether there is copyright in transit data), but rather in relation to its role within an emerging and evolving community of practice shaped by changing technology. The claim to IP rights in something (a bus timetable, for example) is based upon an understanding that such rights may exist and are supported by statute and case law. However, in my research I was interested not just in law in this strict sense (i.e: can one have copyright in a bus timetable), but rather in law as it was experienced. What I found was that actual law was surprisingly irrelevant to many of the claims being asserted in the transit data context. Being in a position to make a claim to IP rights was in many ways more important than actually having a good claim. Disputes over transit data have evolved along with the data. Early claims of copyright infringement were levelled by transit authorities against developers who adapted transit maps for viewing on the iPod. Similarly, copyright infringement claims were brought against app developers who used static transit data to develop timetable apps for emerging smartphone technology. Compounding the impact of these claims, notice and takedown provisions in U.S. copyright law gave putative rights holders a tool to remove apps from circulation based on copyright claims, regardless of their merits. Similar conflicts arose in relation to real-time GPS data. With real-time GPS data, another level was added – so-called patent trolls in Canada and the US pursued municipalities and app developers alike for the use of allegedly patented code useful in the communication of real-time GPS data. In spite of a proliferation of IP claims, the municipal transit data context is one in which there is virtually no litigation. Instead, there are simply claims to rights invoked in cease and desist letters, as well as responses to those letters and public reaction to those claims. In the rare instances of formalized legal proceedings, disputes typically settle before going to court. As well, because disputes over municipal transit data tend to focus on claims to rights in data or data-based products, the claims are fundamentally both weak and contingent. They are weak because there can be no copyright in facts, and because the copyright in compilations of facts is notoriously “thin”. They are contingent because the only way to resolve the issue of whether any given compilation of facts is protected by copyright is to litigate the matter. In a context where the potential defendants cannot afford, or have no incentive, to litigate, it is the claim that matters far more than its merits. Claims to intellectual property rights also underlie the contracts and licenses that are used to manage interactions in this area as well. They are used to arrive at ‘consensual’ solutions regarding the use of IP. In this sense, the licenses acknowledge and reinforce rights claims, creating, perhaps, a communal acquiescence to the claims. An open data licence involves a government granting a licence to use its data without need for permission or compensation; such a licence is premised upon the existence of IP rights. A party who agrees to such a licence before using the data tacitly accepts this IP claim. In addition to the points of conflict discussed above, copyright law has been fundamental to the many open licences developed in conjunction with open transit data, and as such it has shaped other consensual relationships between actors in this field. As open data licences began to proliferate, issues around legal interoperability came to the fore, along with issues regarding the use of proprietary, as opposed to open, standards for transit data. These issues are not ones which attract litigation; for the most part they are matters of trial and error, negotiation and compromise. They reflect ongoing interaction and relationships between transit authorities, developers, private sector corporations and civil society groups. In my paper, I look at how community consensuses about law can emerge even in the absence of a specific legal text or case law. I examine how law is used by different actors to achieve certain ends, and what those ends are. In the case of municipal transit data, the emerging and evolving open data movement began to have an impact on government practices with arguments around greater efficiency, lower cost, better citizen engagement, and so on. It drew upon the experience and rhetoric of the open source movement, as well as on the norms and practices of the software development community. These developments eventually led, in some key cases, to a shift in how (still very weak) IP rights were managed by municipalities and transit authorities. This in turn engaged new legal issues around open licenses. As open transit data evolved, so too did the number and nature of the actors with an interest in this area. IP rights become entangled not just in the transit data itself, but also in the technologies used to generate the data. 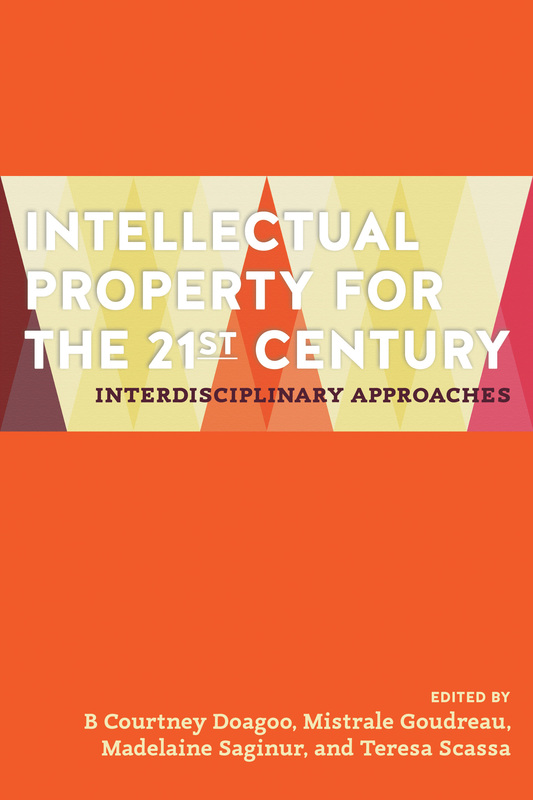 IP became a matter of contention or consideration between a range of actors, both private and public sector. My full paper, complete with references can be found here.